Lineage. Constituted as 13 Observation Squadron (Medium) on 5 Feb 1942. Activated on 10 Mar 1942. Redesignated as: 13 Observation Squadron on 4 Jul 1942; 13 Reconnaissance Squadron (Fighter) on 1 Apr 1943; 13 Tactical Reconnaissance Squadron on 11 Aug 1943; 29 Reconnaissance Squadron (Night Photographic) on 25 Jan 1946. Inactivated on 29 Jul 1946. Redesignated as 29 Tactical Reconnaissance Squadron (Photo-Jet) on 14 Jan 1954. Activated on 18 Mar 1954. Redesignated as 29 Tactical Reconnaissance Squadron on 1 Oct 1966. Inactivated on 24 Jan 1971. Redesignated as 29 Attack Squadron on 20 Oct 2009. 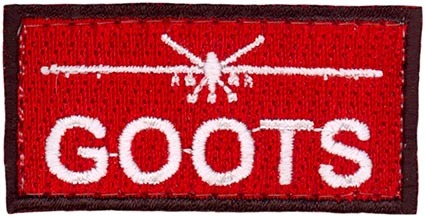 Activated on 23 Oct 2009. Assignments. 74 Observation (later, Reconnaissance, Tactical Reconnaissance) Group, 2 Mar 1942; XIX Tactical Air Command (attached to 69 Reconnaissance Group), 7 Nov 1945; 69 Reconnaissance Group, 25 Jan-29 Jul 1946. 432 Tactical Reconnaissance Group, 18 Mar 1954; 432 Tactical Reconnaissance Wing, 8 Feb 1958 (attached to 363 Tactical Reconnaissance Wing, 8 Apr-17 May 1959); 363 Tactical Reconnaissance Wing, 18 May 1959; 4403 Tactical Training Group (Recon), 1 Jul 1966; 363 Tactical Reconnaissance Wing, 20 Jan 1968-24 Jan 1971. 49 Operations Group, 23 Oct 2009-. Stations. Brooks Field, TX, 2 Mar 1942; Lawson Field, GA, c. 8 Mar 1942; DeRidder AAB, LA, 10 Apr 1942; Esler Field, LA, 13 Dec 1942; Desert Center Airdrome, CA, 28 Dec 1942; Morris Field, NC, 24 Sep 1943; Camp Campbell AAFld, KY, 5 Nov 1943; DeRidder AAB, LA, 19 Apr 1944; Stuttgart AAFld, AR, 7 Feb 1945; Brooks Field, TX, 8 Dec 1945-29 Jul 1946. Shaw AFB, SC, 18 Mar 1954-24 Jan 1971. Holloman AFB, NM, 23 Oct 2009-. Aircraft. In addition to O-52, included L-4 in the period 1942-1943; P-39, 1943-1944; P-40, 1944-1945; P-51/F-6, 1945-1946; B-25, 1946; A-26, 1946. RF-80, 1955; RF-84, 1955-1958; RF-101, 1957-1971. MQ-9, 2009-. Operations. Upon activation, trained and supplied individual reconnaissance pilot replacements for overseas assignments until inactivation in 1946. Trained and conducted reconnaissance operations to provide visual and photographic information on the location, movement and activities of friendly and enemy forces, flying various types of photo-reconnaissance aircraft, 1954-1971. Redesignated as the 29 Attack Squadron and activated in Oct 2009. Trained officers as pilots and enlisted personnel as sensor operators for flight operations of the MQ-9 Reaper. Decorations. Air Force Outstanding Unit Award: 23 Oct-24 Nov 1962. Emblem. Approved on 12 Dec 1956. Squadron should revise emblem to meet the standards of AFI 84-104, chapter 3.